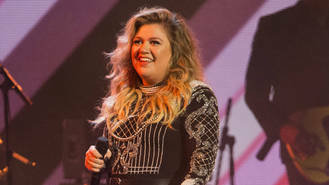 Since signing to Atlantic Records in June 2016, Kelly has spoken out on numerous occasions about the treatment she received when she was first started out, after winning the inaugural series of American Idol in 2002. In a new interview with Variety, the 35-year-old once again likened the start of her career to an "arranged marriage", and says she battled to get former label RCA Records to allow her to release Miss Independent as her first single post-Idol. "I had to cry to get that song not only on my record but as the first single," she recalled. "The only reason I got it as the first single was because it tested well. Everybody was like, 'That can't be. There are too many guitars. That's not really your sound. You're the next Whitney Houston.' I love Whitney Houston, but I don't want to make those records." Miss Independent became a hit around the world in 2003 and catapulted Kelly into the global spotlight. Two years into her time at RCA, music mogul Clive Davis took over the company, but Kelly had to continue fighting to make the music she wanted. "I was told (Because of You) was a s**tty song because it didn't rhyme. A group of men thought it was O.K. to sit around a young woman and bully her. I was told I should shut up and sing," Kelly sighed. "And then, this is the best part. He (Davis) played me the song that should be on the album, which was Behind These Hazel Eyes, which I wrote. Am I a s**tty writer?" The singer originally wrote Because of You to cope with her parents' divorce when she was 16, and it went on to reach the top 10 in charts all around the world.